Did you know the University of Kent are a member of the UniShare South East car sharing community? We have partnered up with Canterbury Christ Church University and the University of Greenwich to help match up those who want to car share. Simply sign up and add the journey you wish to share. 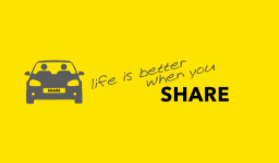 See our car sharing webpage for more information. This entry was posted in News and tagged car share scheme, car sharing on March 28, 2018 by Miriam Sandiford. The Campus Shuttle will continue to run to the usual timetable over the Easter weekend including the bank holidays- Friday 30 March 2018 and Monday 2 April 2018. The shuttle runs during term-time only. This means the last day the shuttle will be running this term will be Friday 6 April 2018. The shuttle will start running again at the start of the summer term on Tuesday 8 May 2018. Booking will be available a week or so before this date. For more information visit www.kent.ac.uk/campus-shuttle or follow @CampusShuttle on twitter. This entry was posted in News and tagged bank holidays, campus shuttle, easter, shuttle running dates on March 26, 2018 by Miriam Sandiford. 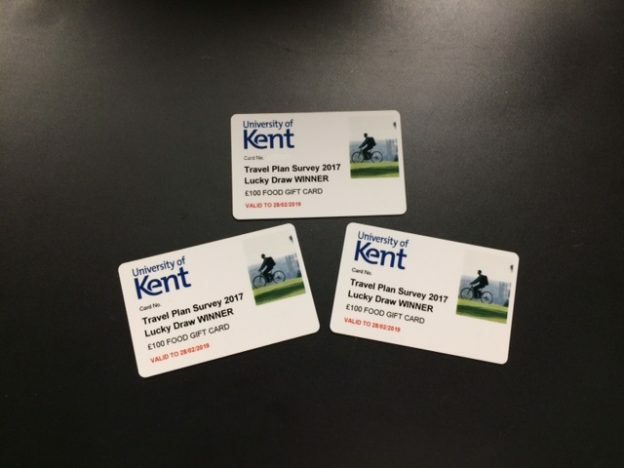 There are three £100 cash cards to spend at the University’s catering outlets at Canterbury and Medway campuses, as well as 300 hot drinks vouchers to be won. We are sending out emails to the winners of the Travel Plan Survey over the next week or so. If you entered your email address when you completed the survey, be sure to check your emails in case you are a winner. Thank you once again for everyone who took the time to complete the Travel Plan Survey. The Travel Plans are in the process of being written, and some of the information is being shared with the consultants for the developing Canterbury campus Masterplan. This entry was posted in News and tagged prizes, travel plan survey, travel plan survey winners on March 19, 2018 by Miriam Sandiford. 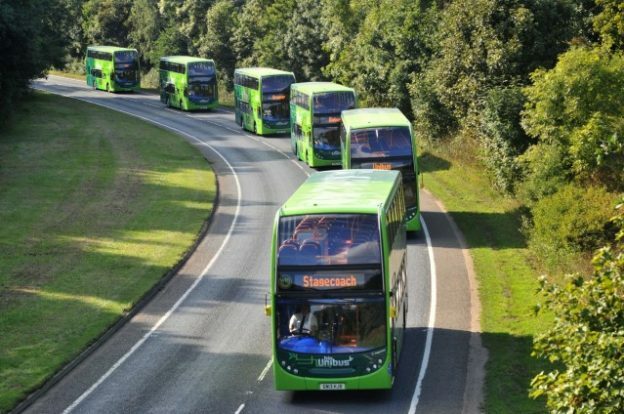 As exam time is approaching the Transport Team, Estates department, are working with Stagecoach to provide extra Uni2 buses on Sundays and Bank Holidays between 25 March and 27 May 2018. 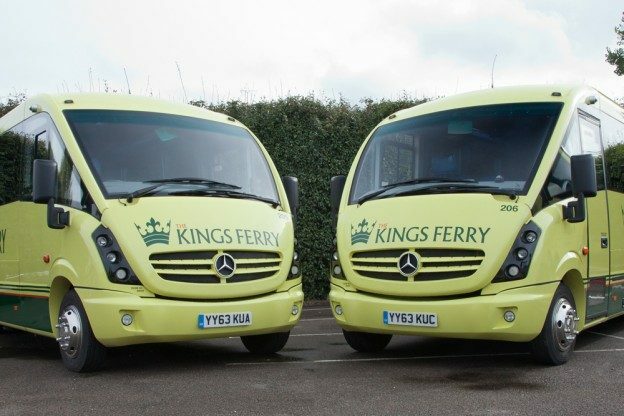 During term-time we provide a 24 hour bus service 6 days a week, serviced by the Uni1, Uni2, 4 and Triangle buses. The additional Uni2 services mean that there will be a 24/7 bus service for this period to help you travel to and from the library to prepare for exams. See additional Uni2 services below or on posters at Keynes and Darwin bus stops. The Uni1 and Uni2 buses will also continue to the usual timetable over the Easter vacation (6 April to 8 May 2018) despite being outside of term-time. See usual timetable. This entry was posted in News and tagged easter vacation, Stagecoach bus, Sunday bus service, uni2 on March 15, 2018 by Miriam Sandiford. We would like to thank you all for your patience and understanding during the recent adverse weather disruptions to travel and parking at the University. We would also like to thank everyone who tried to keep the University operational, particularly Grounds Maintenance, Campus Security and the FM Team at Medway for helping with snow clearance. If there is further adverse weather predicted, please check our planning your journey webpage and follow @unikent_travel and @CampusShuttle on twitter to keep up to date. This entry was posted in News and tagged adverse weather, snow, thank you on March 6, 2018 by Miriam Sandiford. •Thursday 8 March- The Sports Centre blue zone car park will be closed to permit holders. The car park is being reserved for minibuses to transport disabled children to the BOCCIA school games being held at the Sports Centre, as requested by Kent Sport. •Saturday 10 March- There are currently 85 visitors who have requested parking for the Medway applicant day. 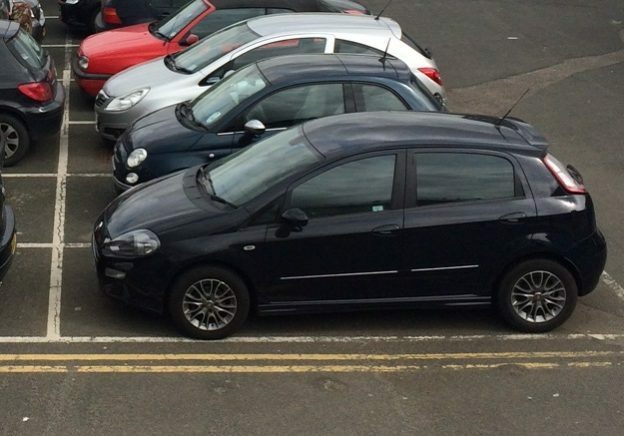 Applicants have been advised to park in the Drill Hall car park. As this is a Saturday it should not cause much disruption. This entry was posted in News and tagged car parks, parking, parking disruption on March 6, 2018 by Miriam Sandiford. 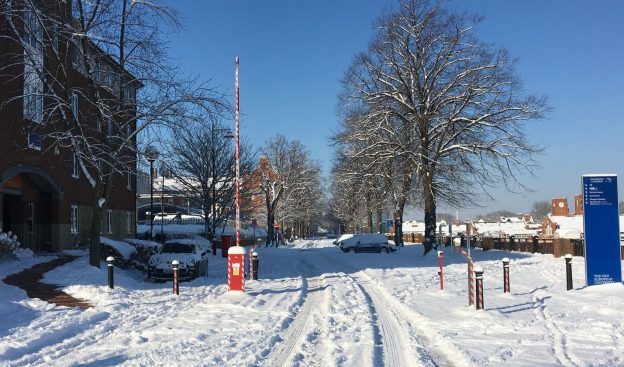 Due to local weather and road conditions the Campus Shuttle last service today will be at 3pm from Keynes bus stop Canterbury and at 3pm from Medway. Please note the Shuttle is stopping at Keynes bus stop only on the Canterbury Campus. We recommend that you do not rely on the last service of the day, as we cannot guarantee that this will be in operation or if there will be enough seats available. This entry was posted in News and tagged campus shuttle on March 2, 2018 by gb311. The Campus Shuttle will continue to operate the usual timetable this evening (01 March) unless the weather or road conditions deteriorate. 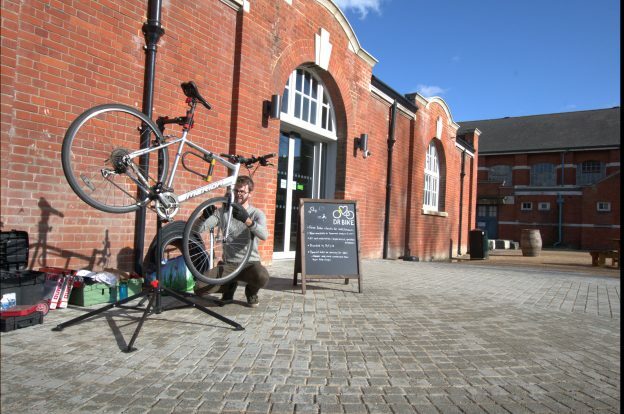 The route will continue today between Canterbury and Liberty Quays. It will not be operating to Pembroke Medway Campus. This entry was posted in News and tagged campus shuttle on March 1, 2018 by gb311.